In his debut short story collection, Pitt pulls his characters from the background, eschewing convention and facing the ironies and difficulties of life in the twenty-first century. 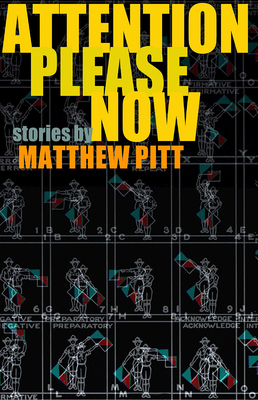 MATTHEW PITT is a graduate of Hampshire College and NYU, where he was a New York Times fellow. His first collection of short stories, ATTENTION PLEASE NOW, won the Autumn House Press Fiction Prize and was published in March 2010. His work appears in Oxford American, The Southern Review, Colorado Review, New Letters, Witness, Inkwell, BEST NEW AMERICAN VOICES, and elsewhere. Stories of his were cited in the BEST AMERICAN SHORT STORIES, BEST AMERICAN NONREQUIRED READING, and PUSHCART PRIZE anthologies, and have earned awards, grants, and scholarships from the Mississippi Arts Commission, the Bronx Council on the Arts, the St. Louis Post-Dispatch, and the Bread Loaf and Sewanee Writers’ Conferences.